We recently featured a blog post about the Putrajaya International Fireworks Competition but there was a surprise in store as it transpires that the event gained entry into the Malaysia Book of Records with the ‘Most Number of Firework Shots at a single event’. 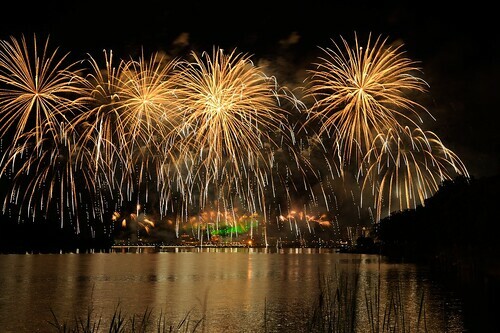 During the course of the event, more than 12,600 fireworks were successfully fired gaining the event the record title. The competition saw competing teams from Malaysia, USA, UAE, China, France and South Korea battle it out for the title of winner of the International Firework Competition 2013. The fireworks, all synchronised to music were set off with the aid of a number of wireless devices. Well done to the organisers and we hope to see more records broken at the 2014 event in Putrajaya.